The Double Urn Vault is sized to allow room for two vase-style urns to stand side by side. It is constructed of a high technology polymer and is built to withstand the weight of cemetery maintenance equipment and earth-moving equipment. 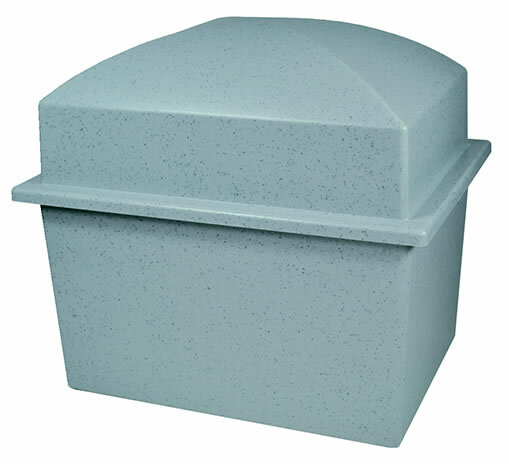 This burial vault is ideal for graveside services and is easy to carry. It is available in white or granite color (granite shown in block photo below). A tube of adhesive is included for sealing the vault. 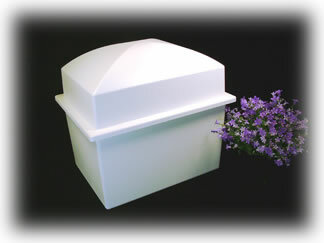 Note: This vault is intended for two vase style urns which are narrower at their base than at the widest part of the urn. 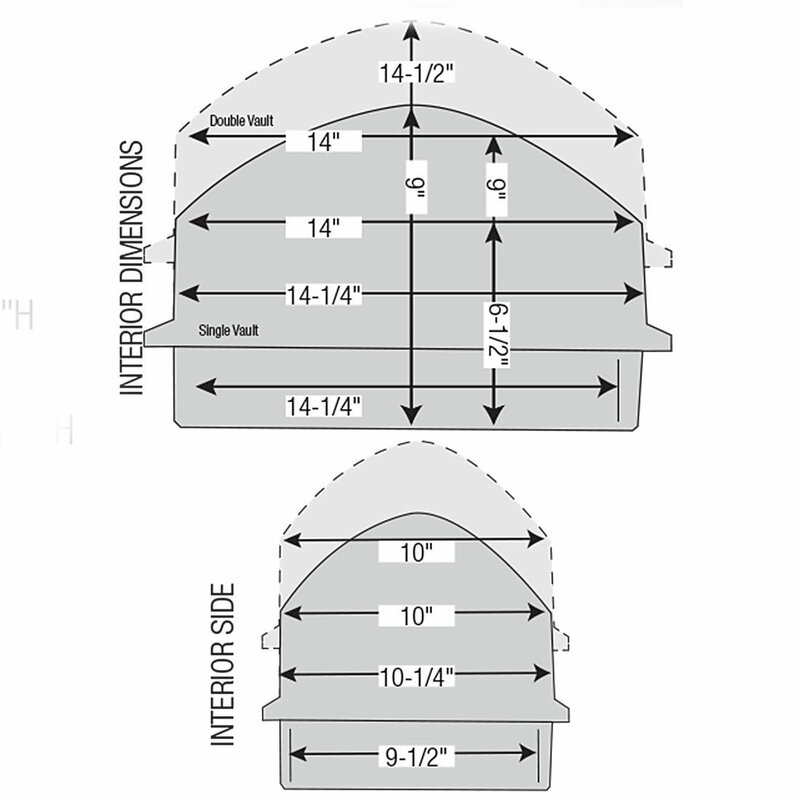 If you are using this vault for a rectangular urn, please note that the base of the vault is only about 8" wide by 12" long. Usually ships 1-2 business days after order is placed.